Counterexample-Guided Abstraction Refinement (cegar) techniques have been very successful in model checking large systems. 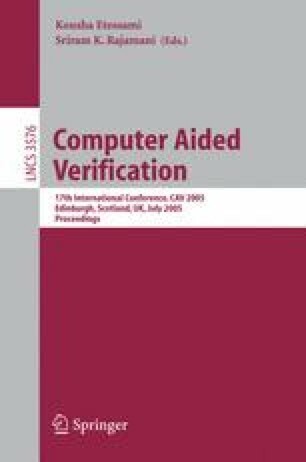 While most previous work has focused on model checking, this paper presents a Counterexample-Guided abstraction refinement technique for Bounded Model Checking (bmc). Our technique makes bmc much faster, as indicated by our experiments. bmc is also used for generating refinements in the Proof-Based Refinement (pbr) framework. We show that our technique unifies pbr and cegar into an abstraction-refinement framework that can balance the model checking and refinement efforts.